Kate Winslet made her name playing British characters. The perfect embodiment of the ‘English Rose,’ Winslet was highly sought after to play the blushing heroine, particularly in period dramas such as Sense and Sensibility and Jude. However, as more people woke up to Winslet’s abilities as an actress, the range of roles on offer to her broadened, and she has since appeared in a vast array of films cast as any nationality other than a Brit. 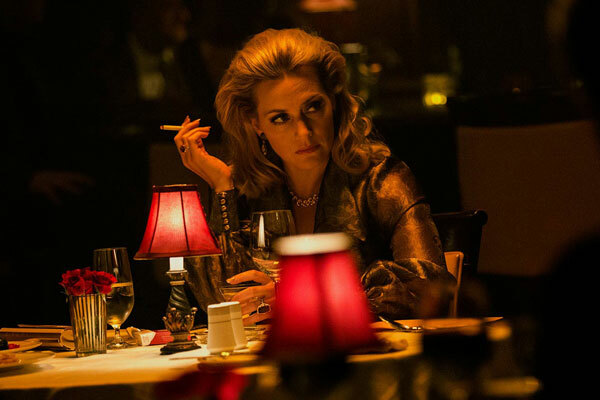 After portraying characters that have been American, German, and Polish-Armenian to name but a few, Winslet is once again pushing herself, by taking on the role of a Russian-Isralei mafia boss in Triple 9. Triple 9 centers around a group of corrupt police officers, who are blackmailed by the Russian Mafia to pull of a near-impossible heist. Winslet plays Irina Vaslov, a character whom she describes as being way out of her comfort zone, and someone she wasn’t particularly fond of. “I don’t know anyone like this woman. I didn’t like her. I didn’t empathize with her. I wanted that challenge of playing a character who really felt like a character,” she says. Winslet always seems to take on such varied roles that it is no wonder she has achieved so many accolades in her career. She is once again Academy Award nominated this year, as Best Supporting Actress for her role in Steve Jobs. With seven Oscar nominations (including for Steve Jobs) under her belt, and one Best Actress win for The Reader, as well as already winning a Golden Globe and BAFTA this year, will we once again see Winslet triumph?